Planters from recycled materials are better for the environment, and they can provide some unexpected benefits as well. 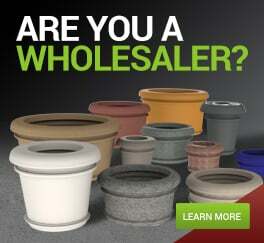 Especially if you purchase TerraCast planters, but more about that later. First, we are going to jump right into the benefits of recycled plant pots. Reduces waste in landfills by reusing old materials and making them new again. Made from durable materials—so durable, in fact, they can be used more than once to create different products. Oftentimes, the pot made from recycled materials can be recycled at the end of its lifecycle. Once again, saving landfills alongside our planet. While all of our planters are made from recycled materials, our black planters can be made from as much as 100% post-consumer recycled materials. As we like to say, black is the green. Do They Last as Long? It’s a common question—do planters made from recycled materials last as long as planters made from virgin materials. The answer is yes! As we’ll describe in more detail below, the original plastic product is melted down into a powder base. From there, it starts fresh all over again, maintaining the same strength and durability it had the first time around. How Many Times Can Be Planters Be Recycled? 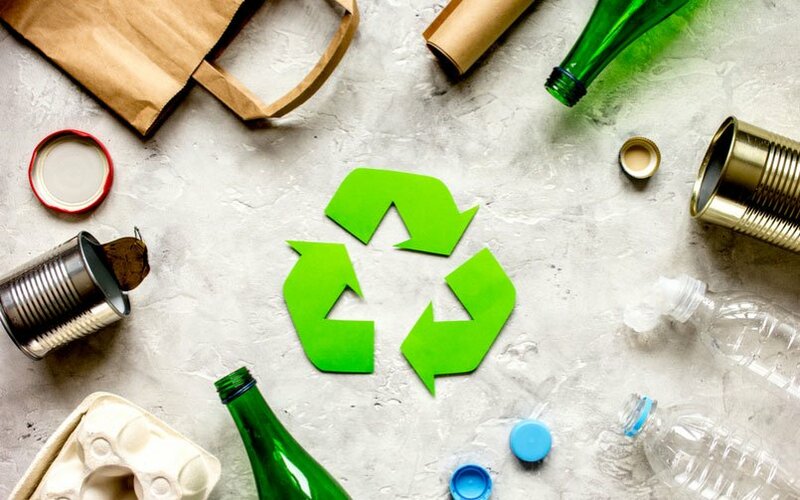 Generally speaking, most plastics can be recycled 7 to 9 times before they are no longer viable. That’s more than paper, which can be recycled 4 to 6 times before the paper fibers become too short to recycle again. Although, glass, steel and aluminum can be recycled endlessly—can you imagine outdoor planters made of glass, yikes! Traditional plastic planters crack easily and don’t last very long. Plus, many end up polluting landfills shortly thereafter. Did you know it takes up to 1,000 years for plastic items to decompose? Not to mention the millions of barrels of oil used to manufacture plastic each year. Resin-based plastic is different. It’s stronger as well as more flexible and durable. And it’s made from recycled materials that can be recycled again when it’s finally run its course. The resin used to make our planters largely comes from recycled material. Our facilities are designed to turn a product back into its original powder base. We then use this powder base to create another planter. Keep in mind, darker colors can be made from as much as 100% post-consumer recycled material. This powder resin base is not just any base—it’s a Linear Low Density Polyethylene (LLDPE). That’s not a basic plastic, it’s a true Resin blend. The resin base gets its start at becoming a planter the moment we liquefy it by exposing it to extreme temperatures. Once it’s in liquid form it can be poured into a mold and slowly cooked. The entire time it rotates 360 degrees to give it the most even finish for added durability and elasticity. Thus, preventing cracks and breaks. TerraCast Products has been about quality since day one. We make our products in the USA at our own plants using sustainable methods. Shop our collection of long lasting planters made from recycled materials.